Holly jolly puzzles galore keep minds active and sharp this season! 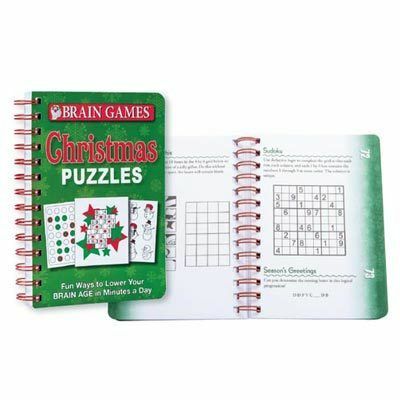 Enjoy over 150 crosswords, word searches, jumbles and more… each with a merry holiday theme. Five levels of difficulty keep things interesting. Answer key in back. Spiral-bound softcover; 190 pages.